This season, go green, and give a plant for the holidays. Washington Gardener Magazine editor and publisher Kathy Jentz shares her favorite flowers and foliage to gift for the holidays — plus care tips in case you find a tree under your tree. WASHINGTON — Out of ideas for that hard-to-buy person on your list? Need a last-minute host gift that beats the typical bottle of wine? 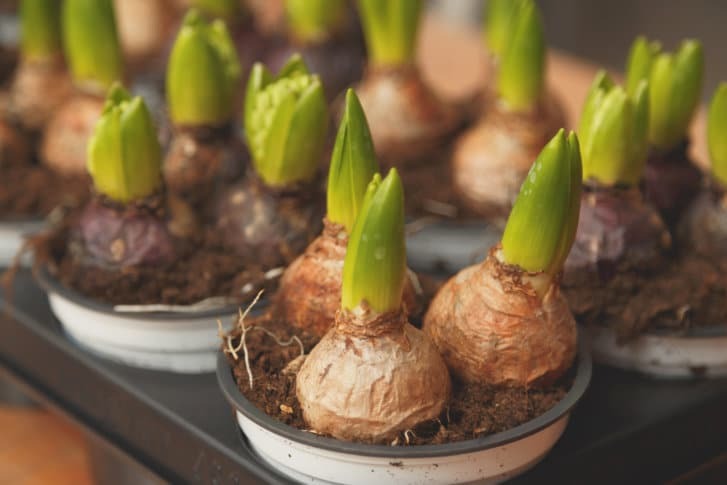 Alternatively, if you want to give a gift with some staying power, Jentz recommends potting a bulb for the recipient in either soil or gemstones/pebbles. “Really, you’re just adding weight on the bottom so [the flowers] are not falling over because they’re top heavy once they bloom,” she said. After the flower blooms in the winter, trim the stalk and give the plant a “summer vacation” outside, where it can soak in a little heat and humidity — “and that way the bulb replenishes its energy,” Jentz said. In the fall, bring the plant in and stick it in a dark closet for six to eight weeks (or place it in a file box if you don’t have the room). When its rest time is up, put the amaryllis in a window and it will start blooming again. “After a few years, it will form an off-set bulb — it will have a little baby to the side — and that’s when you’ll repot it,” Jentz said. And you can give that new bulb to someone else.